Congratulations to CJ WIlliams & BJ Bernal! The first thing you should to do to successfully navigate flu season is to prepare your household for germ and virus-free living with essentials from Live Clean and Joy Mangano’s Miracle Clean. And the second thing to do if you’re not scared of needles is to get a flu shot. Both of these winter weather to-do’s will give you the best possible chance against flu causing bacteria, so you can have a safe and happy winter. To win a Live Clean Holiday Collection Hand Soap and the Joy Mangano Miracle Clean Set keep reading for details! Will choose two winners. 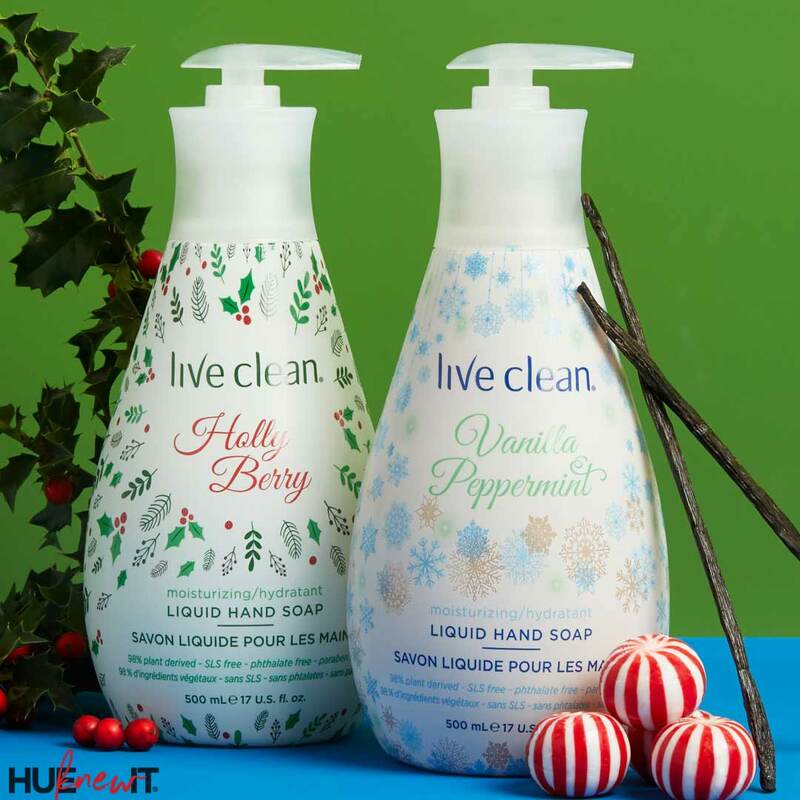 Inspired by berry and peppermint scents, the Live Clean Holiday Liquid Hand Soap Collection is designed to gently cleanse, hydrate, and restore moisture balance and luster to dry hands. This moisturizing collection is enriched with Vitamins E and Pro-Vitamin B5 to deeply care for hands. Available in Vanilla Peppermint, which is a mix of sweet vanilla and refreshing mint, Holly Berry, a sweet and a little tart, like ripe juicy berries, and the new Gingerbread Latte scent. And by Joy Mangano is Miracle Clean, a groundbreaking, patented, hyper powerful, multi-surface disinfectant that is a great alternative to toxic cleaners. It cleans virtually anything from the kitchen to the bathroom, windows & glass, stainless steel to sealed wood, furniture, even fabrics and pet areas. It’s available in four scents – Warm Vanilla, Fresh Linen, Orange Blossom, or Spring Meadow, and comes with 2 Dual-sided jumbo, microfiber/scrubber sponges, 2 Textured microfiber cloths, and 12 Smooth microfiber cloths. ANSWER THIS: Which celeb was featured twice in the month of October, and in what posts? 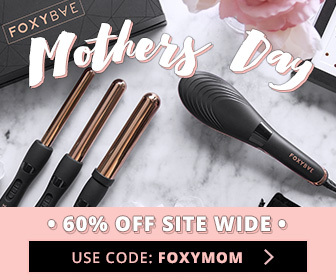 Ends: December 7, 2018 @ 5:00pm PDT/8:00pm EDT. The winner will be announced HERE. IMPORTANT: The notified winner MUST respond within 48 hours to an email that is sent from gregorie@hueknewit.com or another person will be selected. I mean it! REMEMBER TO LEAVE YOUR TWITTER HANDLE (if you have one) & EMAIL ADDRESS & show this post some love by “LIKING” it! If you’ve won within the last four weeks, you cannot enter this giveaway. No Email Address. No Prize! Good luck! I have a longstanding love affair with Fabuloso, so I never thought I’d give another cleaning brand the time of day, until now. I was sent the Fresh Linen scent of Miracle Clean, and OMG, I use it to clean everything, including my smooth top gas stove. Among other things, I use Miracle Clean to clean up my dog overspills from the wee wee pad onto the wood floor after reliving himself. Live Clean is a brand that I’ve used before, and highly recommend any of these products. And with each pump of the dispenser I smell the holidays every time! Zendaya was featured twice in October once in the article ” How to Spice Up Your Halloween Makeup” and once in ” Got Mane Color Envy”. I liked this post and shared it over Twitter. Zendaya was featured in Oct 16th article “How To Spice Up Your Halloween Makeup” And she was also featured on Oct 27th article “Got Mane Color Envy? Liked on Facebook,shared on Twitter @YoderDebbie. email djyode@yahoo.com. I liked both articles and RTed them on Twitter.